ICC Cricket World Cup, the biggest tournament of the game of cricket is scheduled to take place in England from May 30, 2019 to July 14, 2019. The ten teams - India, England, Australia, South Africa, Pakistan, New Zealand, West Indies, Sri Lanka, Bangladesh and Afghanistan are all set to participate in the grand tournament. All the teams would be eyeing to win the coveted trophy. The teams will face each other once with top four qualifying for the semi-finals. At the moment, India and England are arguably the favourites to lift the trophy. In the previous edition of the pioneer event, Mitchell Starc, the left-arm pacer from Australia was the leading wicket-taker with 22 wickets from 8 games at an economy of less than 4 and a strike-rate of about 10. 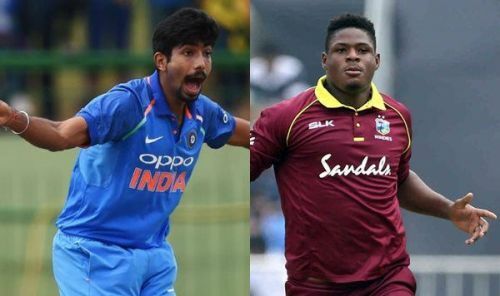 In the build up to the event, there is a player from each team who has the potential to end up as the leading wicket-taker of the upcoming edition of the tournament. Let us take a look at those bowlers. 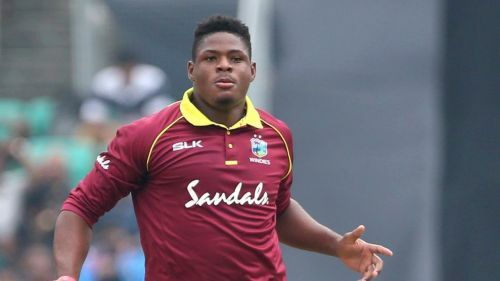 Oshane Thomas, the fast bowler from West Indies came into limelight when he troubled the Indian batsmen in their own backyard. The 6 feet bowler has the ability to consistently bowl at a pace of 145 kmph. His bowling brought back the memories of the time when batsmen from around the world feared playing the Windies bowlers. It was his debut ODI series for his country but he went on to trouble some of the quality batsmen like Shikhar Dhawan, Rohit Sharma and Virat Kohli. So far in his career, the right-handed bowler has scalped 6 wickets from 4 games at an average of 34 and an economy of over 7. It is still early in Thomas' international career, but he has shown a lot of potential in the matches he has played so far. If he continues to put up his hard work, he may well end up as the highest wicket-taker of the tournament.